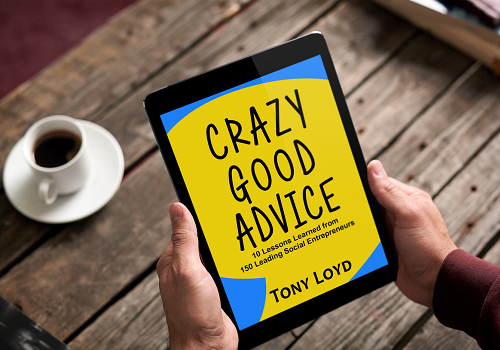 Tony Loyd is the author of Crazy Good Advice: 10 Lessons Learned from 150 Leading Social Entrepreneur. A former Fortune 500 executive, Loyd was inspired by the work of mission-driven businesses when he decided to launch the podcast (and now a radio show), Social Entrepreneur in 2015. The show has been rated #1 in four iTunes New & Noteworthy Categories and is downloaded in more than 170 countries. We recently had a chance to speak with Loyd about his passion for social entrepreneurship, his new book and the lessons he’s learned from interviewing over 150 entrepreneurs working toward social impact. Earlier in life, I ran a technical consulting business. In 1998, I was recruited to lead worldwide training for a major US manufacturer. I was an executive with a handful of Fortune 500 brands. My roles over the years included global head of learning & development; director of global leadership and talent development; and vice president of organization and team effectiveness. I launched two corporate universities, significantly reducing costs while improving productivity. What inspired you to make such a drastic pivot, change direction, specifically with a focus on social entrepreneurs? I grew concerned about the gap between corporate practices and my personal values. I had two fundamental questions that I wanted to answer. One: To meet the needs of shareholders, do we have to sacrifice other stakeholders such as employees, communities and the planet? And two: If we focus on shareholders alone, is that a sustainable business model? There are legal and fiduciary reasons why publicly-traded companies focus on shareholders. And yet, there are companies that have found a better way. Your readers are already familiar with social enterprises and benefit corporations. For me, it was a revelation. That revelation became part of my personal transformation from a corporate executive to a radio host, podcaster and author. What do you like most about your new focus and the work you get to do every day? I have a chance to talk about solutions. The news we see in the media, including social media. Is filled with descriptions of problems. Yes, there are huge, intractable problems in the world. But that’s only half of the story. Constant outrage leaves us feeling powerless, hopeless and cynical. It deprives us of the energy we need to create real and lasting change. But when we tell the whole story, not just about problems, but about the solutions, we have hope. It lifts us up. We are energized to make a difference. Here’s the other part I love about the work that I do. The guests on my program, Social Entrepreneur, are everyday people, just like you and me. And yet, they have found a way to create meaningful change. We feature social entrepreneurs from every walk of life: different nationalities, geographies, religions, and genders. They use a wide variety of business models to take on all 17 Sustainable Development Goals. Listeners hear the stories and are engaged, informed and inspired. By featuring such a wide diversity of social entrepreneurs, listeners can imagine themselves being a changemaker. The listeners take action. They support social entrepreneurs with time, talent and treasure. Or, they become a changemaker. Therefore, more social good is created in the world. We must make a living. But we also want to make a difference. The guests on Social Entrepreneur show the way to do both. What prompted you to sit down and compile the lessons from your interviews into a book? In every interview, I ask the guest to give their best advice for aspiring and early-stage social entrepreneurs. After a while I began to sense a pattern. When I passed my 150th episode, I took every recording, went into the episode to the point at which my guest gave their advice, and transcribed what they said. Then, I wrote down keywords beside each statement. Then I organized the keywords. I saw that there were ten key pieces of advice. That was the genesis of Crazy Good Advice: 10 Lessons Learned from 150 Leading Social Entrepreneurs. What makes you such a believer in social entrepreneurship? Similarly, what challenges, if any, concern you about the sector’s potential for impact? Most of us spend the vast majority of our waking hours at work. And, most of us have a general sense that we were put on this earth to make a difference. Social entrepreneurship gives us an opportunity to do both. Humanity is faced with some massive challenges. 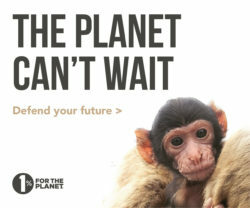 How will we feed nine billion of us, without destroying the earth in the process? How do we end global poverty, create livelihood and secure social justice at the same time? We cannot leave these problems to governments, charities and religions alone. It’s going to take all of us, including businesses. If we can disrupt industries, we can disrupt poverty. My greatest hope is that someday we will stop talking about social entrepreneurship and simply refer to it as “business,” because that will be how all business is done. What’s your renewed vision for your work/life? Where do you see yourself in five years? I see myself interacting face-to-face more often. For the last couple of years, I have been working in solitude. I record, edit and publish from my home office. I don’t get out much. One of the highlights of my corporate career was conducting leadership workshops. There’s something magical about being in the room as people experience personal transformation. Just last week I was a guest presenter at a leadership development program for a major corporation. It made me realize just how much I miss that kind of work. I want to do more public speaking and workshop facilitation. Let’s turn the tables: what’s your top lesson learned in your life/career? And what advice would you give others in terms of the work they choose to pursue, the lives they choose to lead? If you hang around entrepreneurs, you’ll hear a long-running debate. Do we succeed because we’re lucky, or do we succeed because of hard work? There is little doubt that it takes a little bit of both, luck and hard work. If we work hard and run into bad luck, well, sometimes it’s difficult to outwork bad circumstances. At the same time, if we catch a lucky break, but we don’t hustle to take advantage of our luck, it won’t help us to succeed. I have a favorite saying. “Miracles find you while you are in motion.” Every success story has an element of synchronicity, but unless we are in motion, we don’t run into these synchronous events. The miracles are out there looking for you, but you have to be in motion for them to find you. A related piece of advice that comes to mind. I heard this from Bill Drayton of Ashoka. He said, “Give yourself permission.” This is so important. I meet so many people who want their life and career to be different. But they haven’t given themselves permission. Life is short and there is no guarantee of tomorrow. Do what you came here to do. Get in motion. Make a difference while you can. Elisa Birnbaum is the publisher & editor-in-chief of SEE Change Magazine, as well as the host of its podcast, In the Business of Change. She is also working on a book about social entrepreneurs tackling challenges in their communities.